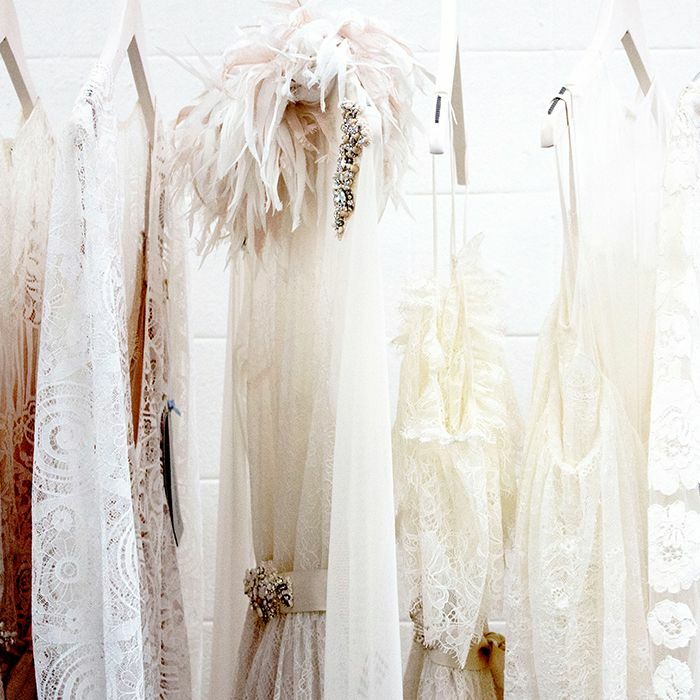 Finding the perfect wedding dress or outfit is nothing short of an art form. But once you’ve found it (and bought it and worn it and taken hundreds of photos in which you look amazing in it), a wedding dress can be a memento that’s hard to know what to do with. One option is to turn that unused dress into perfectly usable cash, which—thanks to the powers of the internet—has never been more possible. Here are a few spots where you can sell a wedding dress online. The visibility and organization of Pre-Owned Wedding Dresses makes it a win, but we also love the fact that it doesn’t take a commission—only a one-time listing fee. Fees run at $25 for wedding dresses and $5 for bridesmaid dresses and wedding accessories. Another commission-free site is Still White, which gets bonus points for its easy-to-navigate interface. Listings are either $20 or $30 each, depending on whether you opt for premium features. If the thought of posting, editing, and fielding a million questions about your listing sounds a little too demanding, Nearly Newly Wed might be your perfect solution. While the site takes a 40% commission based on sale price, its expert team handles literally every step of the process, making the cut well worth it—especially if you’re exhausted from wedding planning and are eager to outsource remaining items on their to-do lists. We love Poshmark, and not just because it’s a great place to sell wedding dresses. The site is one of the best places to find consignment designer clothing and accessories. It’s easy to use and charges just 20% of the sale price with no listing fees. While we’re in the broader resale clothing category, it’s worth mentioning eBay in any discussion of reselling dresses. Many brides shop here because it's such a well-known source, which could mean higher visibility for your item. On top of that, the site only takes 10% of the final sale price. Once Wed is a convenient site to buy or sell a wedding dress. One of its best features is that, aside from its optional premium version, the site's completely free. This is also a good platform for selling used bridesmaid dresses and wedding accessories. Another free site to sell your wedding dress is Ruffled. Its “Recycle Your Wedding” page, which operates securely in conjunction with PayPal, provides a helpful venue for not only selling your wedding gown but also for selling wedding décor, party favors, paper goods, and more. Up next, read on for simple wedding jewelry for the minimal bride.